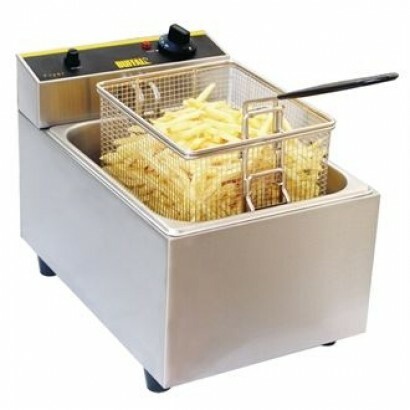 The commercial fryer is an essential part of any kitchen offering the ability to cook foods such as battered fish, authentic Indian cuisine or just simple breakfast food. 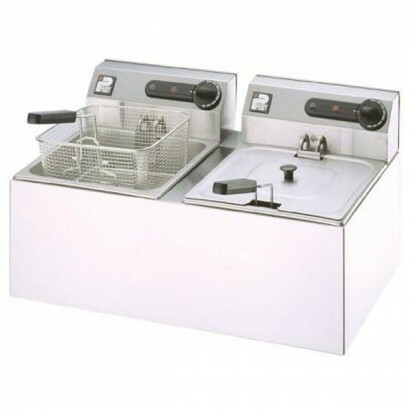 We offer an extensive selection of commercial gas fryers and commercial electric fryers to the UK catering industry which can be either counter top or free standing units, all sourced from well known brands such as Lincat, Falcon and the more affordable option Buffalo. 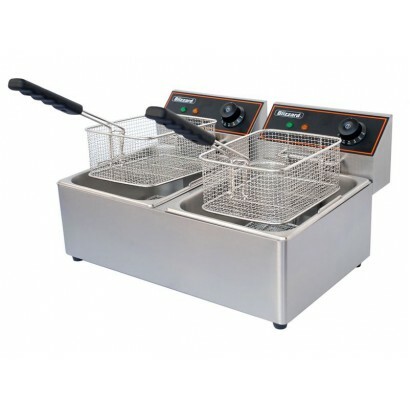 Out of our full commercial fryers range you can choose whether you want counter top light duty fryers, medium duty modular units or heavy duty free-standing fryers. All orders above £100 are eligible for free UK mainland delivery and products over £500 are available on a lease-to-buy finance agreement. 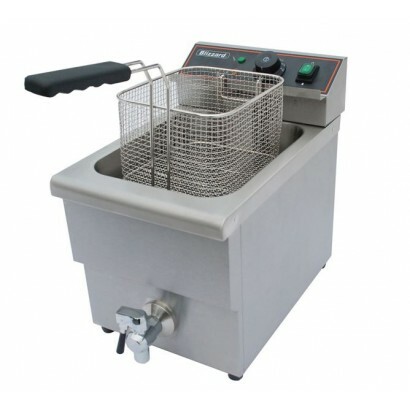 All our fryers come with at least 2 years parts only warranty as standard and are made out of hard wearing stainless steel to ensure you are buying for the long term. 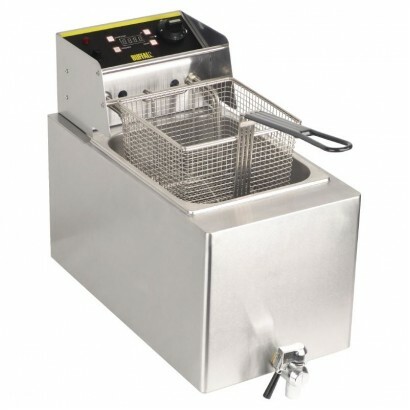 Some of our counter top fryers come with a tap at the front for easy oil removal. 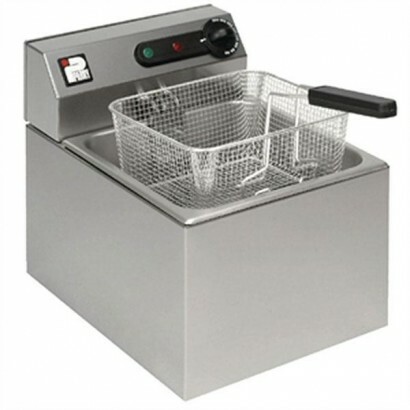 Our commercial deep fat fryer range offers the very best in frying equipment that is essential in any restaurant or chip shop. 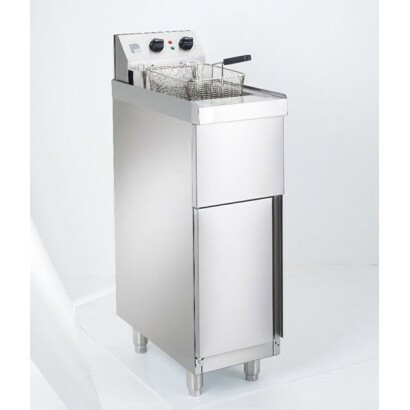 Shop our hard wearing, reliable and easy to clean commercial fryers here, or for more information give us a call on 0161 442 9174 and speak to an expert today. 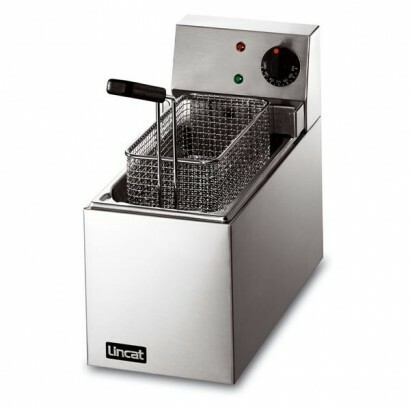 Lincat LSF slimline fryer ideal where space is limited and perfect for stand-by use in larger operat.. 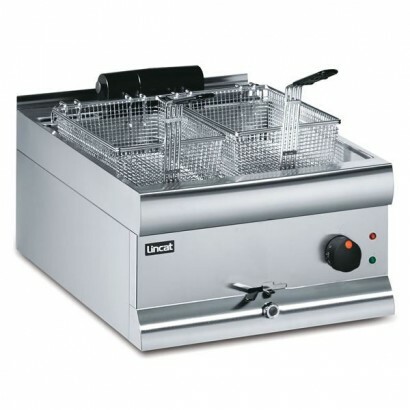 Product Information External Dimensions: H310 x W280 x D365mm (540mm deep with handle) Stand..
Lincat LDF single tank general purpose fryer for counter top use, ideal in smaller outlets where spa.. 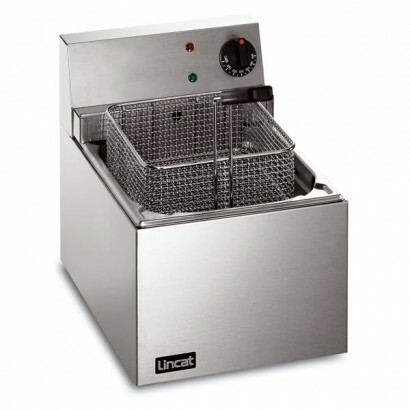 Product Information External Dimensions: H 400 x W 300 x D 435mm Standard Delivery: 3-5 Work..
Lincat LFF large single tank counter top fryer, ideally suited to frying battered or breaded product.. 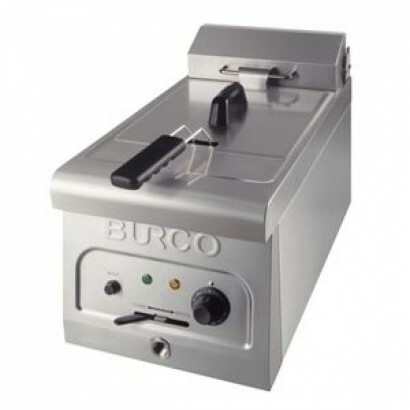 The Buffalo Single Fryer with Tap comes with a plethora of features, from a stainless steel construc..
A range of 600mm deep modular cooking equipment. 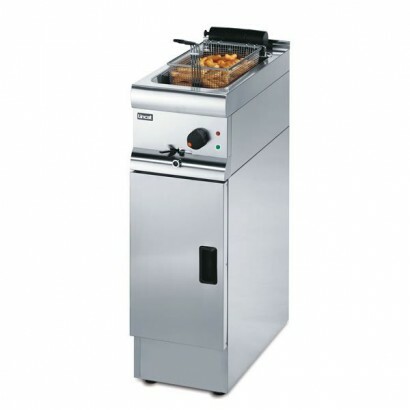 Safe strong and stylish, Silverlink 600 is the stan.. 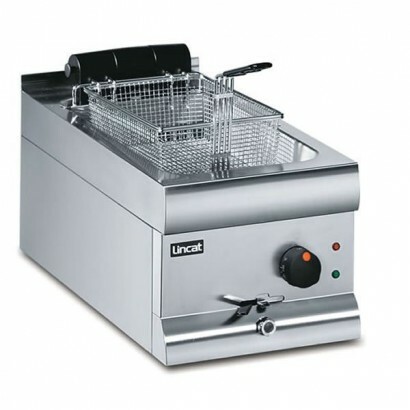 Product Information External Dimensions: H 400 x W 580 x D 435mm Standard Delivery: 3-5 Work..
Lincat LDF2 counter top twin tank electric fryer ideal for general purpose frying applications, idea..
Lincat electric counter top fryer available in three power options. 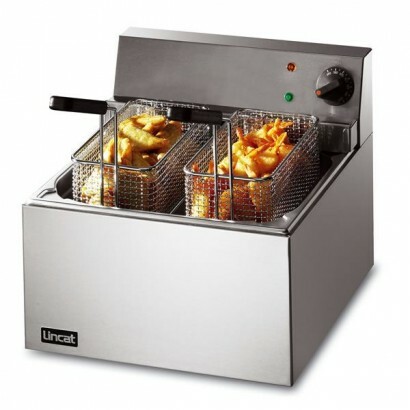 Ideal for any medium duty operat..
Lincat DF single tank counter top electric fryer. 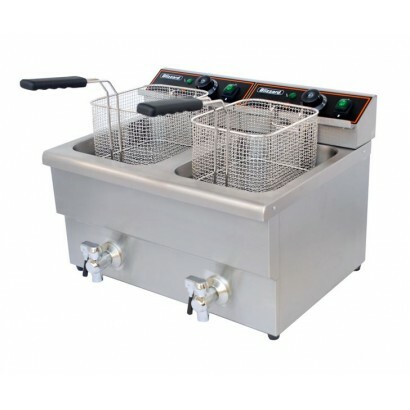 A range of 600mm deep modular cooking equipment. 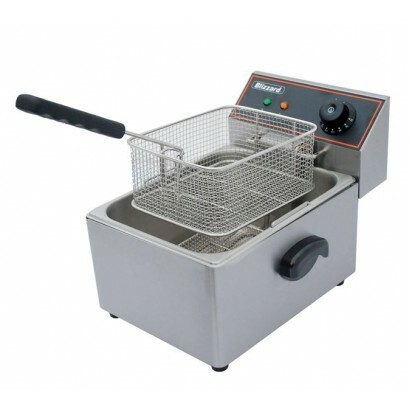 S..
Quality Parry single tank electric fryer with single baskets and 9l litre capacity. 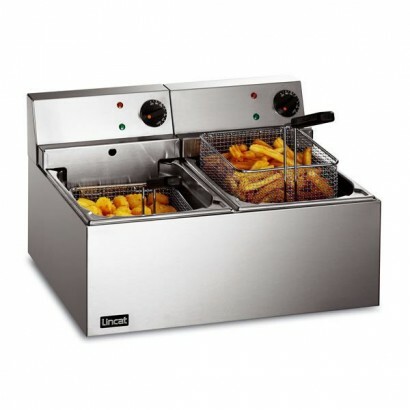 The fryer can be..
Two sizes are available with full stainless steel construction and batter plates and lids supplied a..
Lincat single tank free standing electric fryer from a range of 600mm deep modular cooking equi..